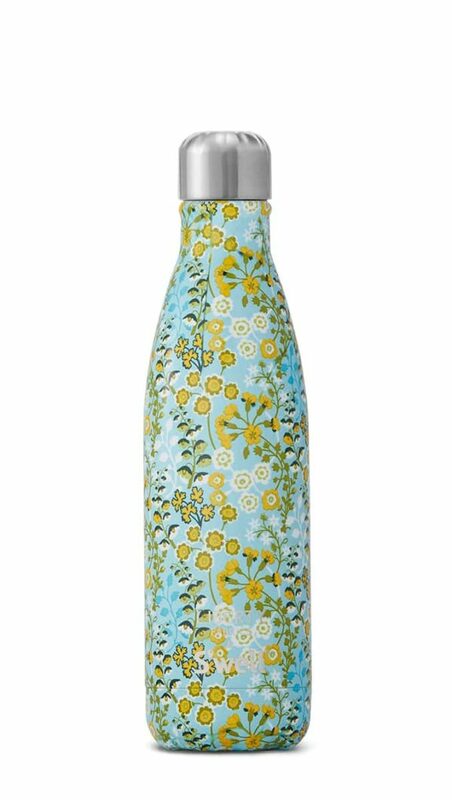 S’well has joined forces with Liberty London to create limited-edition bottles that utilize original prints from the famed Liberty Fabrics archive, drawing upon the dainty florals and pristine paisley patterns Liberty is known for. We were thrilled to merge S’well’s sleek design sensibility with Liberty classic-meets-eclectic spirit, and to fold Liberty’s recognizable designs and deep history into the S’well story. In 1875, inspired by the aesthetic of the far east and on a mission to change the standards of English décor, Arthur Lasenby Liberty opened an oriental imports business with just £2000, borrowed from his father-in-law. Liberty’s vision—especially in the textiles department—quickly caught on, and soon Liberty decided to start printing coveted fabrics at home in England. Shoppers couldn’t get enough, and the “Made in England” fabrics took on an identity all their own, rooted in the ever-popular florals Liberty started to make in the 1920’s. Over decades, the world’s top designers have been continually inspired by the recognizable prints, and the Regent Street shop still encompasses six floors of fashion, beauty and homeware that attracts Londoners and global visitors alike. About this bottle: Springy citrus hues and cool sky blue make the Primula the perfect warm-weather pick.